A thousand years of shifting skies and rich stories has made this windswept archipelago off the northeast coast of Scotland a beautiful but wild and untameable place of dramatic contrast. A befitting home for such a unique single malt. 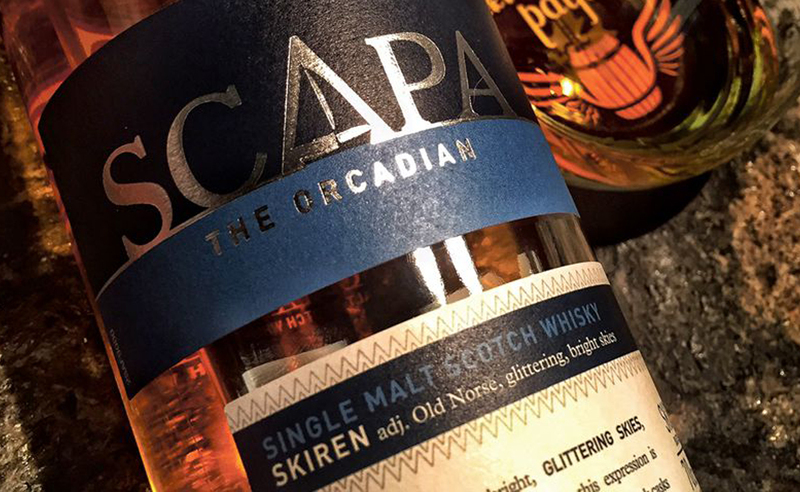 Scapa is crafted by a small team of 5 dedicated artisans and a Master Distiller, using traditional methods perfected over generations. One of the last remaining manually operated distilleries, manned 24 hours a day. Our crew in successive shifts which means each shoulders the honour of delivering a consistently smooth, creamy sweet single malt on his own. Trust is a word they do not take lightly. From milling to distillation, every stage in the production of Scapa is overseen by the artisans. Situated on the shores of Scapa Flow, our tiny operation is forged by our environment. And though we are at the mercy of nature, we have also harnessed it to produce a most truly unique single malt.